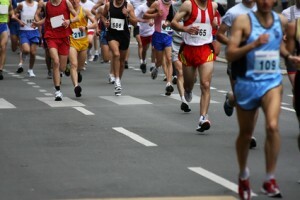 We all know that safely negotiating the roads is step one for successful urban running. Some drivers are less likely to spot a runner than a cyclist. 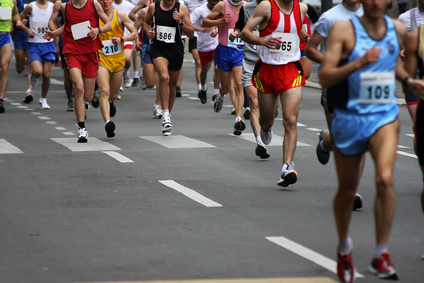 For runners, traffic awareness is vital. But what’s your approach to negotiating the roads safely? In particular, what’s your junction etiquette? This is a recurrent source of disagreement between me and my partner. When I’m on a run and I see a car on the main road signalling to turn at the time I’ll be arriving at the turning then, if necessary, I give way. I slow down/stop so they can turn, as you would if you were walking. The alternative is for the car to brake late, stop on the main road and wave you across. That often happens, even when I have clearly stopped to allow the driver to turn. When that happens it drives me nuts. I know the driver is being considerate. But there is a risk that the drivers behind assume that the lead car is just braking to turn. Braking to a near halt on the main road, for something that the cars behind may not have spotted, seems to me to be risky. On a number of occasions I’ve watched the lead car almost get rear-ended. My partner thinks there’s no problem. It’s right that the drivers should let runners cross. But then she’s not a driver and has never had to study the Highway Code. Although, to be honest, studying the Highway Code wouldn’t be a great help because it has nothing to say about runners. It’s not clear to me what the right approach to this is. How do you deal with it?